It’s Shark Week. 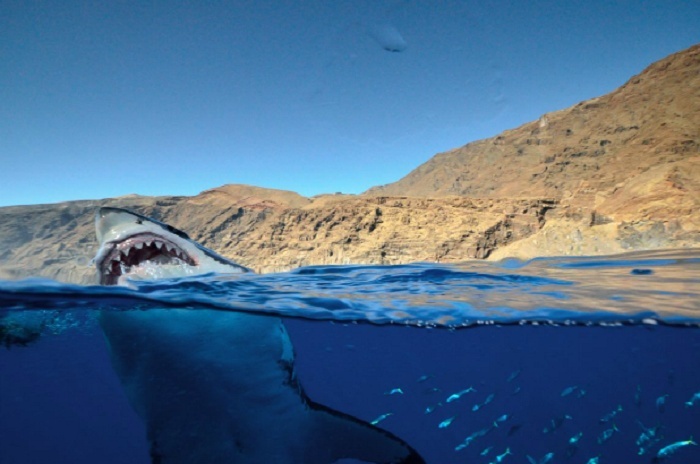 And while Discovery channel and the rest of mainstream media enjoy terrorizing people with ‘deadly and dangerous sharks’, we decided to put together a list of the most amazing places to see the world’s most incredible sharks. Don’t worry most of them (if any) won’t eat you. These silvery skinned sharks are incredibly people friendly. Their unique dark oval spots make them highly attractive and easy to identify. Fact: Leopard sharks have been known to live up to 30 years and can take more than a decade to reach maturity. They grow to around 4 or 5 feet but have been known to reach 6 feet. While their teeth may be razor sharp, there’s no need to be afraid. These gentle creatures are so docile they even let divers come close to touch their fins. They are generally found in warmer waters off Thailand and India. Fact: Tawny Nurse Sharks can grow up to 10.5 feet long. Their skin changes colour depending on their surroundings and they have an interesting ability to vacuum up fish and crabs by using a powerful sucking ability from their throats. These incredible beasts have a fierce reputation for being deadly predators. They have a varied diet and will eat almost anything. Biologists have found old car tyres and even car license plates inside their stomach. 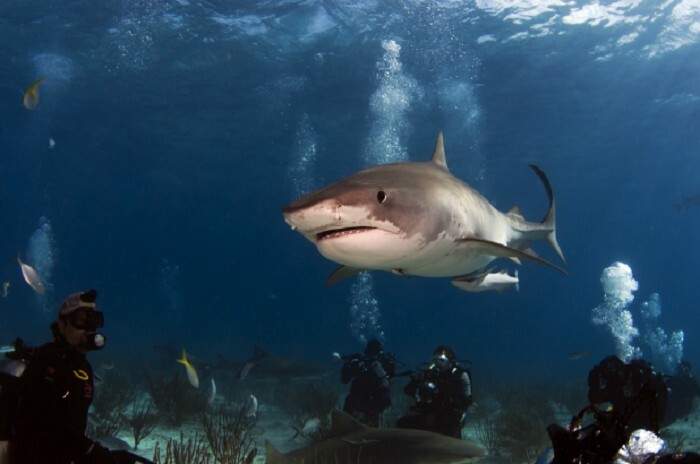 Cage diving operators offer scuba trips to see these amazing animals. Fact: They are the fourth largest shark in the world and aggressive by nature. They have been known to attack humans only when they feel they are in danger. They can camouflage themselves to provide better advantage in their surroundings. The best time to see these creatures is during sunrise or sunset due to their nocturnal nature. They spend the day sleeping in reef caves only to emerge when it’s dark to hunt. Facts: Generally quite small in size they rarely grow longer than 6 foot. They often sleep in groups and can be seen stacked on top of each other inside their caves. Often seen emerging from the deep blue with dozens of krill quickly swimming beside, these giant sombre beasts are the largest known fish inhabiting the sea. Normally seen near feeding stations at rocky pinnacles, they have been known to migrate across entire oceans. Fact: Whale sharks can grow up to 40 feet long and weigh up to 50 tonnes. Their mouths can open up up to 5 feet wide and they only feed on plankton. They filter their food by straining krill while swallowing seawater. There have been no records of a human being eaten by a whale shark. Similar to the tiger shark, this marine creature is considered one of the most aggressive species in the ocean. It is advised to use extreme caution when swimming in their territory. Their diet doesn’t naturally consist of human flesh and in most cases, attacks are caused by curiosity. A surfer floating on the water with it’s arms out can easily be mistaken for a seal. Facts: These carnivorous fish can grow up to 12 feet long and weigh around 250 kilos. June is the peak season for spotting these migratory sharks in Fiji. Bull sharks prefer to swim in shallow coastal waters and unfortunately so do humans. This species of shark is probably our favorite due to it’s velocity and high speeds. They are normally found in warm water. The top side of these sharks are colourful, with hues of deep purple and bright aqua. Unfortunately they are commonly hunted for their fins and apart from humans they don’t have any predators. 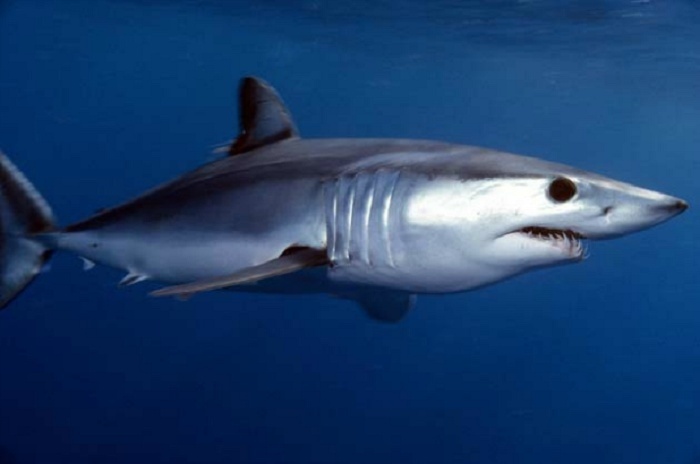 Facts: The shortfin mako’s normal cruising speed is around 35kmph, but has been known to swim at bullet-like speeds of 80kmph. They can be seen leaping out of the water up to 20 feet in the air. On the other side, they have been known to dive more than 400 feet. Small in size and easily frightened, the lemon shark is famous for being a bit of a chicken. It is advised to keep reasonable distance and avoid agitating them. They can be found off the coast of southeastern US and also the Gulf of Mexico. They mainly eat small fish and depend on magnetic sensors. Without this important skill they would starve due to their poor eye sight. Facts: Their yellow color and white belly gives them their name. Like most sharks their teeth are razor sharp, which makes them highly versatile while hunting. Males and females have been known to travel great distances to mate. They have been known to attack humans, but only out of fear. These highly prehistoric creatures are normally found in deep ocean at around 2,000 feet and spotting these rare beasts is a shark lovers dream. Specially designed submarines are used to take tourists down for a chance to view them. 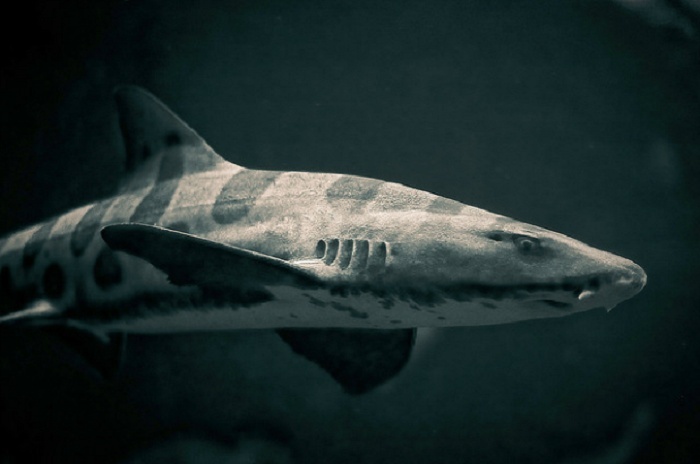 Facts: Six-Gill sharks get their name from the number of their gills. 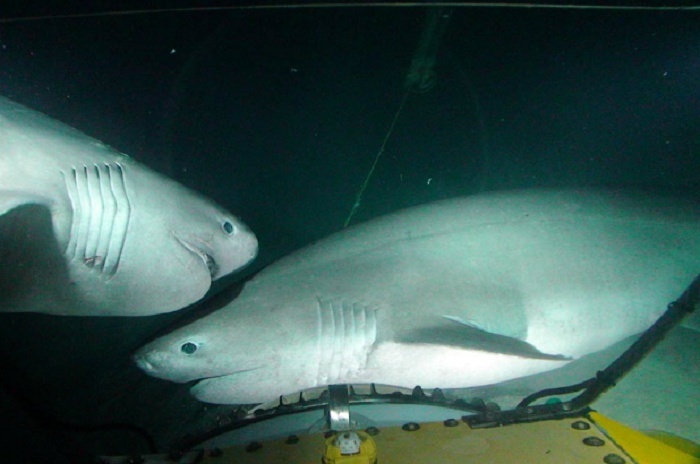 These 20-foot long sharks are one of the largest shark species and mainly feed off of plankton. Known for having an extremely powerful body and a blunt nose, this unique creature strangely only has one dorsal fin located on the back of its body near its tail, which makes it slow and quite sluggish. Due to the positioning of their eyes, the hammerhead benefits from 360 degree vision. They also have sensory organs in their head so they can feel vibrations and movements, making them an ultra efficient predator. They can weigh up to 400 kilos and are easily distinguished from other fish due to their uniquely shaped heads. 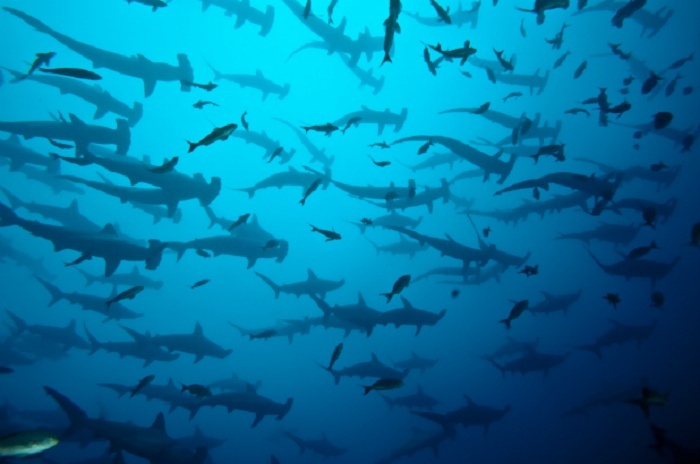 Facts: There are 9 separate species of hammerhead shark and only 3 of those can be harmful to humans. They prefer warm tropical waters along coastlines where food is abundant. Their diet is mainly small fish, sting rays and squid. It has ben reported if food is scarce they will turn on each other and cannibalize their own. Known the world over as the most fearsome creature of the sea, these incredible sharks are what the T-Rex is to dinosaurs. They are at the top of the food chain and can be seen during August through October when the water is slightly warmer. It is advisable to view this creatures from within a diving cage. Facts: These toothsome beasts can weigh up to 2300 kilos, which is the equivalent of 2 standard cars stacked on top of each other. The can grow up to 20 feet long and are the largest predatory fish on the planet. Considered the most common shark in Indo-Pacific, grey reef sharks are commonly found swimming through shallow waters near coral reefs where food is accessible. They can be distinguished from other sharks by their white dorsal fin and the darkish tips on other fins. Facts: The gray reef shark is quite small and grows no larger than 8 feet and weighs around 30 kilos. They live up to 25 years, but what really sets them apart are their heightened sense of smell, which makes them a highly skilled predator. Similar to the white tip reef shark, the black tip also dwells in shallow areas near coral reefs. Snorkelers can see them at any time of the day or night in Shark Bay off the southern tip of the island. That being said, the best time is during sunset or sunrise. 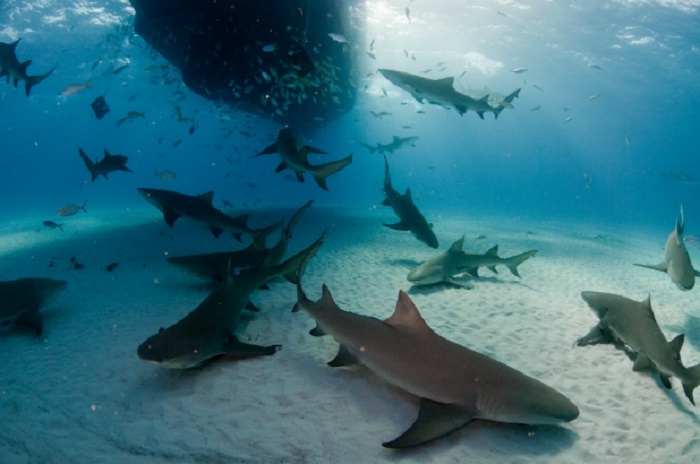 Facts: Black tip reef sharks are extremely social and often found in large groups with a strong hierarchy. They can grow up to 3 metres in length and usually live to around 13 years old. This strange looking fish has interesting striped patterns across its body. It’s fairly rare and lives in tropical waters off the coast of Burma. They can be difficult to spot because they like to bury themselves in sand while hunting prey. 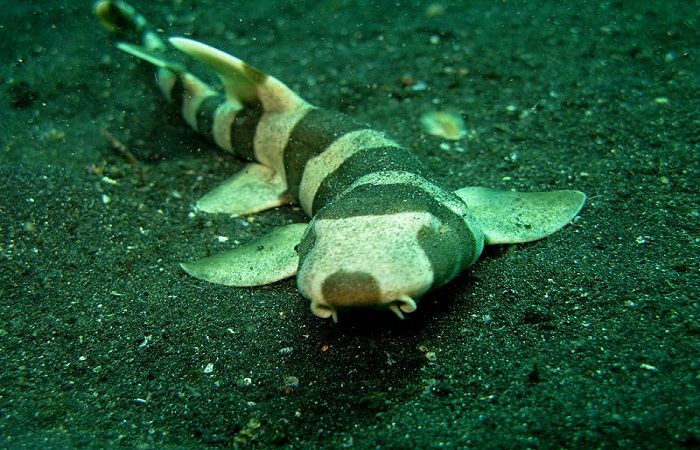 Facts: Bamboo sharks grow to about 23 inches long, which is about the length of 2 rulers. They live at around 29 to 33 metres, which make them great viewing for divers. Due to their small size, they don’t eat large amounts of food and only hunt small fish. These interesting looking creatures can easily be identified by their long dorsal fin. 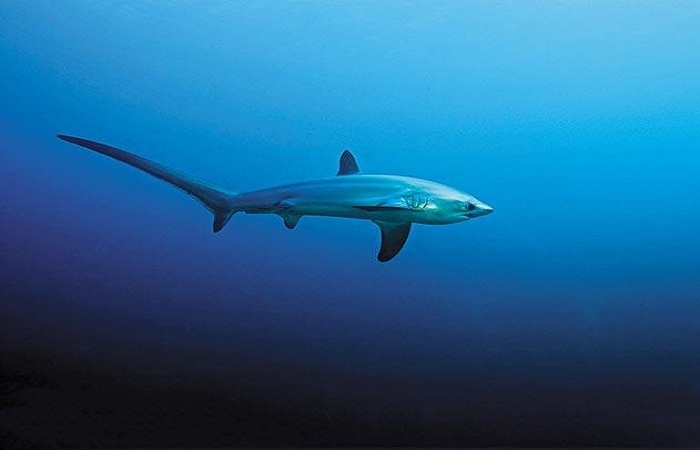 The thresher shark has for a long time puzzled experts on its origin. Regardless, this shark is harmless to humans and are quite common in the Philippines especially north of Cebu. Facts: Thresher sharks rely on their electro receptors that gives them the ability to detect their prey. Their diet consists of tuna and mackerel, but sometimes they hunt seabirds. They remain largely independent, but have been known to gather in groups. They can grow up to 6 metres long and weigh up to 600 kilos. Like most sharks, the largest threat to the thresher is humans.